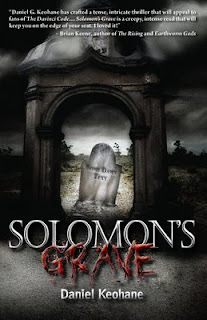 Well, the gears are beginning to turn over at Dragon Moon Press, as they begin the process of preparing my first novel, Solomon's Grave, for its upcoming release in 2009. Now, I've gone through this process twice before with the book, first with its Italian publisher in 2006 then with editor Michael Krug of Otherworld Verlag in Germany. But this time around, as the book will become available here in the US for the first time, I thought I'd keep you posted as to the process from the beginning to the final release. Special shout-out to my editor at DM, Gabrielle Harbowy, who has begun the process of going through the novel, line by line, and making suggestions. Every editor has their own methods, and in this case Gabrielle prefers to work within MS Word using the track-changes feature. I was glad to hear this, because it's what I'm used to - it's how my two agents made suggestions and the past two editors - though for the most part since the book was translated at the same time as edited I didn't see the galleys (pre-pub proof copy). This time I will. And one of my oft-proofreaders, Michelle Pendergrass, likes to use MS Word's track-changes feature, and I've learned how to use it (and appreciate it). So, Gabrielle will mark it up, send it to me for yays or nays. This should be much the same process as the original three proofreaders of the book from way, way back: my wife Janet (who marked her changes on printouts), Fran Bellerive (same, only with really bright pens) and Mark Lowell (who used email sometimes, othertimes simply sat me down and told me what he liked/didn't like). One of the events we lowly writers look forward to with a mix of eagerness and trepidation is the release of the annual Year's Best Fantasy and Horror, a tome covering what worked, what didn't, in both the fantasy and horror genres. One place where these two areas are intermingled, one of the few actually (normally fantasy and science fiction are paired up). 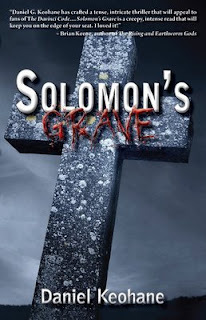 Edited this year by Ellen Datlow, who's edited the horror side of the book since forever, and Kelly Link and Gavin J. Grant taking up the reigns as fantasy editors. Filled with stories which they deem the best in the two genres from the past year, it's the front and back sections which we writers go immediately to, not necessarily in that order. Apex Science Fiction and Horror Digest, edited by Jason Sizemore, is a quarterly with consistently readable fiction and regular interviews. The three issues published in 2007 had notable horror by Ian Creasey, Patrice Sarath, Cherie Priest, Stefani Nellen, Daniel G. Keohane and Nancy Fulda.